Join Gakken Science Experiment Classroom (SEC) and Museo Pambata as they present So Genius! 2010, an event full of activities for both kids and kids at heart. 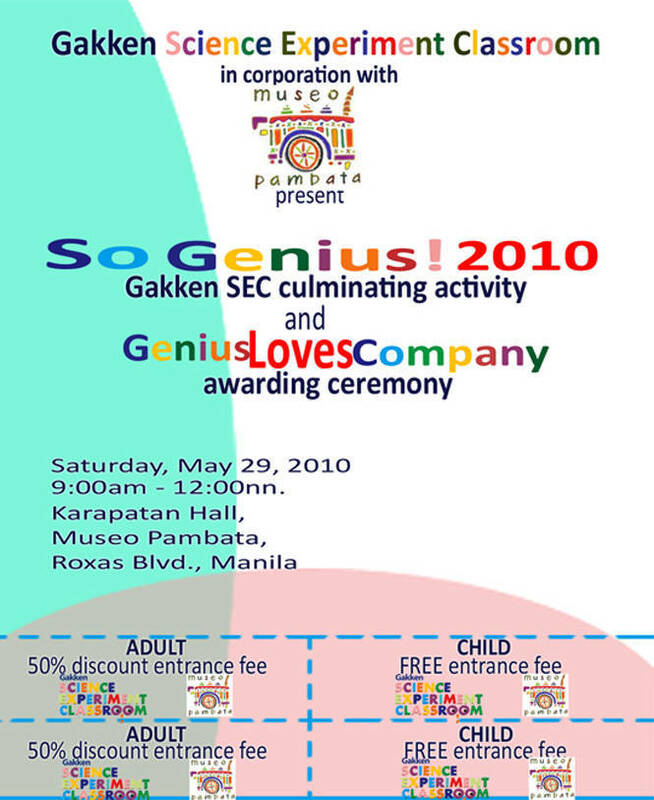 Join Gakken Science Experiment Classroom (SEC) and Museo Pambata as they present So Genius! 2010. Gakken SEC provides hands-on experiments for both children and adults, meant to stimulate and encourage their inquisitive nature. What's also great about Gakken SEC is that they give away take-home science kits that parents can give their child to further develop their understanding of scientific concepts. 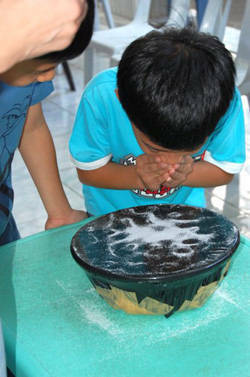 Check out the experiments yourself by heading to Museo Pambata this May 29, Saturday. Get 50% off on the entrance fee for adults and kids get to go in absolutely free! For more information, visit gakkenscience.multiply.com, gakkenscience.ph or creativechallenge.ph.